The St. Joseph Club of St. Louis offers a wide variety of activities and services for the many senior citizens in the community. 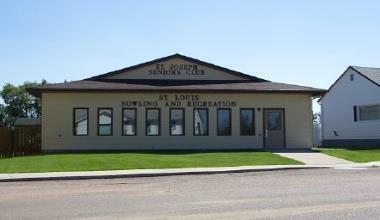 These include bowling leagues, card parties, socials, crafts and lunches. The bowling lanes are also available for regular and youth league bowling and now GLOW BOWLING. The Hall is rented out for many occasions like birthdays, anniversary teas, family functions and many small parties. The rates for these functions is very reasonable and serve as an economic alternative for smaller groups that do not need a large hall setting. League Bowling will begin again in October, 2008. Please contact Ellen @ 422 - 8237 to register your team now.